Great place to stay! 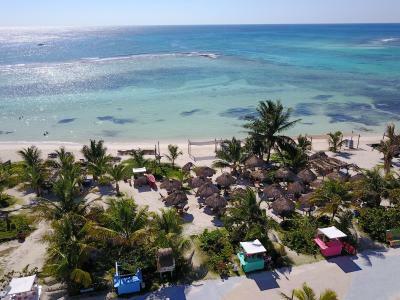 the location was perfect right at the beach the staff were tremendous I would highly recommend it for any solo travelers or couples. Overall feeling is cozy and the position amazing (even if you are the first exposed to cruise ship "crowd" arrival). Staff very good as well. Bed was super comfy and staff very friendly and helpful. Has a restaurant next door with amazing local food and great prices. The location was incredible - such a fantastically beautiful and zen vibe! Staff and restaurant great, so many places to relax and a short hop to refresh in the sea. 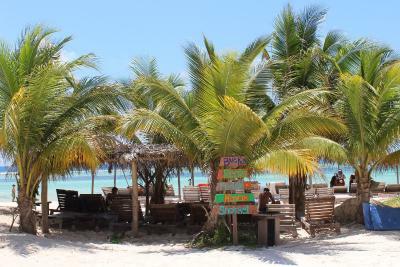 The cabanas are on the main beach road, first property when you entering the town. You can sit on your patio and enjoy the sea view. 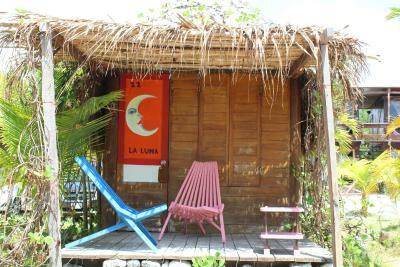 The cabaña was lovely, right on the beach with the most beautiful view of the ocean. It was clean and a perfect place to relax. Eco Cabañas Bluekay This rating is a reflection of how the property compares to the industry standard when it comes to price, facilities and services available. It's based on a self-evaluation by the property. Use this rating to help choose your stay! Set in Mahahual, Blue Cabañas offers a private beach area. Among the various facilities are a bar and on-site dining. The accommodations features a 24-hour front desk. 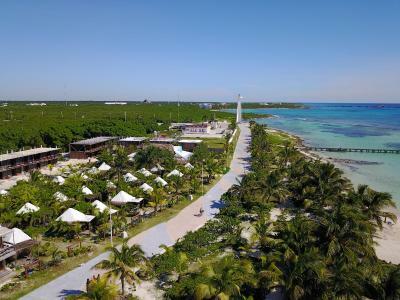 The nearest airport is Chetumal International Airport, 43 mi from the property. 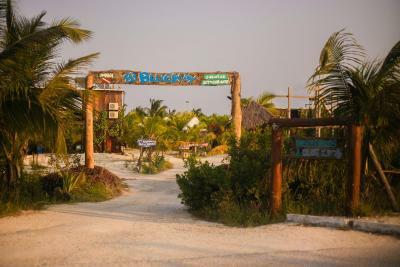 When would you like to stay at Eco Cabañas Bluekay? House Rules Eco Cabañas Bluekay takes special requests – add in the next step! One child under 12 years is charged MXN 90 per night when using existing beds. Any additional older children or adults are charged MXN 200 per night for extra beds. Eco Cabañas Bluekay accepts these cards and reserves the right to temporarily hold an amount prior to arrival. Very basic. Not sure where the eco aspect comes in: no insulation (heat or sound), no ventilation, extremely strong chemical smell coming from the toilet (keeping me awake because it made me cough) and locals told me management is not environmentally friendly. Also no mosquito net, no safe in the room nor at reception although staff there kindly kept my valuables safe. We left one day before of our check out. We stayed in the Mini cabaña and it was so small we didn't have space to put the luggage and no space for a trash can. There was a ventilator so noisy we couldn't sleep the whole night and if u switch it off its so hot then...no way out! toilets were pretty dirty, it seems more like a camping site then a hotel! Nothing to complain about - cabana was very simple but didn’t miss anything and I felt simplicity added to the experience. Great location. Right at the beach! The cabanas are very, very small. Just one bed and tiny little space to leave your luggage. The beach is not private and can be very crowded. We went for snorkelling but as it's very shallow, not much to see. The town is busy during the day, when cruise ships dock, but during the night is almost like a ghost town. The Wi-Fi never worked and we were there for 4 nights, the reception staff gave us wrong or not full information every time when we asked, so at the end we just gave up asking anymore. The prices are too high for what you get, really not worth the money. It was noisy a lot of the time which took away from the relaxation of the place. Very small room. No space for the suitcases. Just the bed. Close to the beach. Nice staff. Even if we were there in high season, value per price is a bit unbalanced. Restaurant amd beach struggle to welcome all guests. Perfect located. Nice huts. We had a problem with the fan and got a new hut right away.